Soil organic matter (SOM) is far more important than you may think. Healthy SOM translates to living soil and living soils are the key to better soil quality, increased grass nutrient content and higher yields. To overlook or ignore the importance of organic matter in soils will be to the detriment of your pastures or turf. The OM is where life in the soil begins and is maintained. Soils with LOW organic matter will suffer from lower quality grass, increased disease potential, higher soil erosion, lower Cation Exchange Capacity (CEC), less water retention, poor root development and more. Soils with quality SOM will have the opposite affect. You will have a tremendous increase in beneficial soil microorganisms, more efficient nutrient delivery, less nutrient leaching, better water retention, healthier plants, deeper and healthier roots, and higher Cation Exchange Capacity, just to name a few. Good soil will have from 2% to 6% organic matter. Poor quality soils have < 1% OM. Converting tilled farm land to pastures can increase SOM tremendously in just a few years. Without any manual additions of OM, pastures that have been converted have doubled in SOM fairly quickly. This increases soil health by increasing soil organisms and microorganisms as well as adding the benefits mentioned above. This translates to increased plant health and even lowered nutreint inputs that have saved farmers and sports field managers money. 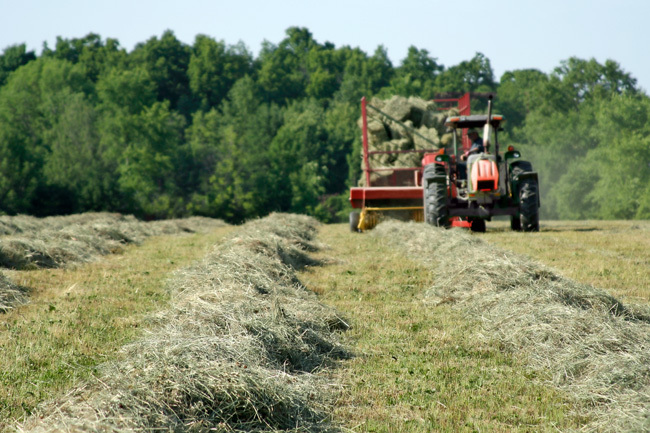 Maintaining your pastures to increase the rotted, decayed, decomposed organic matter is easy and will put far more money in your pocket than traditional fertilizer applications can do alone. 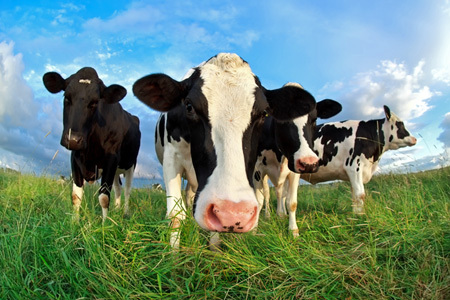 Here is the scoop on soil organic matter in pastures and turf. Naturally occurring SOM comes from many sources. Shed plant roots. 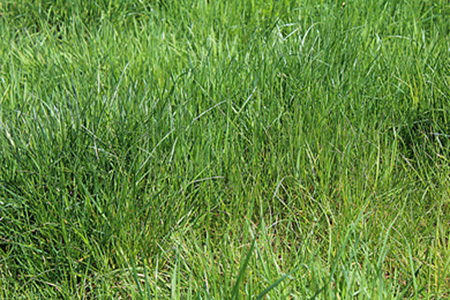 A grass plant on average sheds it roots twice a year (not at once of course). As the roots decompose they convert into matter that is beneficial for plants. Promoting an increase of root development is essential for plant health and increases SOM quickly. This has a synergistic affect on both plants, soil and soil microbes. Decomposed plant tissue. A blade of grass only has about a 30 to 60 day life span and so the plant must produce more tillers to replace dying blades. Healthy plants are able to produce more tillers thus outpacing dying tissue. Decomposing soil invertebrates. Healthy soil has billions of soil bacterial and fungi per teaspoon. When their lifespan is completed they decompose. Combined with earthworm castings and earthworm body decomposition and decaying insect bodies make for nutrient rich sources of material that converts to available nutrients. Animal manure from cattle, sheep, goats, etc. Decomposing manure from domesticated animals and wildlife add nutrients back to the soil while providing an environment for soil microorganisms and soil organic matter. Beneficial soil microorganisms and beneficial fungi are the backbone of soil health. One teaspoon of healthy soil may contain over a billion bacteria. The bacteria and beneficial fungi live and work within SOM and are busy breaking down soil elements into sources plants can use. Nutrients that are not yet available to plants are broken down faster where soil microorganisms numbers have greatly increased. When farm managers promote the explosion of soil microorganisms they naturally increase the release of nutrients to plants. They decompose plant residues faster, building humus and OM, while increasing plant health and building better soil structure. When talking to homeowners and farmers, many were unaware that plants produce their own food by design, whether the fields are fertilized or not. 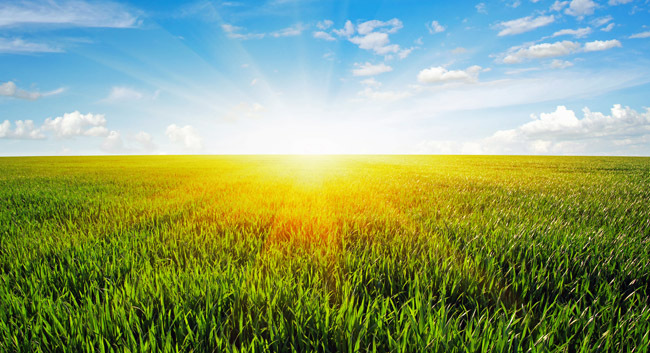 Grasses produce sugars and complex carbohydrates through photosynthesis by capturing sunlight and CO2 gas in connection with H2O to produce the food they need for growth, seed production, root development and more. However, for all of these to occur at optimum levels there needs to be proper soil nutrients and soil pH among other things. Among the 16 essential nutrients needed for plant growth, Nitrogen (N), Phosphorus (P), and Potassium (K) are the three used in highest measures. This doesn't minimize the necessity of micro-nutrients for plant health. The natural occurring "Nutrient Cycle" refers to the breakdown on raw elements and subsequent nutrient uptake to plants and the eventual breakdown of plants releasing the nutrients back into the soil. This is absolutely necessary for improved plant health because most essential micro-nutrient and most of the macro-nutrients are obtained this way. While the majority of major and micro-nutrients can exist in healthy soils in adequate supply it is the work of microorganisms that are responsible for converting and releasing these nutrients to plants. ** The founder of AgriGro has a 1000 acres of pasture that is cut and bailed and grazed yet he hasn't applied conventional fertilizers since the late 70's. He uses Foliar Blend each year and his plant tissue tests have come back excellent. This has been well document and is recorded on video. When beneficial microorganisms increase in soils, plant health increases. As a bonus, plant pathogens (diseases) decrease because many pathogens are food for some types of beneficial microbes. Calcium and soil pH are important as well. Low pH as well as excessively high pH can prevent or restrict the delivery of some nutrients which have a damaging affect on plant health. All plants have a preferred soil pH, but most plants grow best in a soil pH of 5.5 to 6.5 pH. AgriGro's prebiotics have shown to decrease the harmful affects of pH extremes. Agri-Gro's Agri-Cal is a calcium product that is extremely beneficial in delivering immediately available calcium to plants while bringing unavailable soil calcium into solution so it, too, can be used by plants. If you have any questions about the calcium, please contact me. Agri-Gro's Prebiotics formulas have a targeted affect on the soil and plant's biological systems. They are proven to improve soil structure, increase fertilizer efficiency, boosts crop yield, and tremendously increases soil microorganism along with their activity and function. It has been proven to do what conventional fertilizer and tillage cannot do. Foliar Blend - Used on farms, pastures and fields, orchards, rice fields, corn, cotton, soybeans and more and provide the benefits listed on this page. Turf Formula - Used by professional turf managers, sports field managers, and on home lawns. Turf managers found they can decrease nutrient inputs by 30% - 35% while increasing plant and soil health. IgniteS2 - is formulated to get your crops out of the gate early before lack of nutrition and resulting stress can rob them of the development, health, and yield they were designed to produce. Boost seed germination and development. Ultra - is a Certified Organic (OMRI) is a product designed for organic farms, crop and fruit production. Ulta provides a propitiatory blend of amino acids and enzymes as well as sugars, complex carbohydrates and more while increasing the action and work of soil microorganisms. Agri-Cal (called Super-Cal in smaller containters) - Supplies immediately available calcium while increasing yields and quality, improves Nitrogen (N) efficiency, improves nutrient uptake, and increases base saturation of calcium (Ca).